The International Cricket Council (ICC) today announced the Team of the ICC Women’s World Cup 2017 with India’s Mithali Raj as its captain. The 34-year-old from Hyderabad in southern India, was selected as captain after she led her side by example by scoring 409 runs in the 30-day tournament, which inspired India to reach only its second final, first in 12 years, where it lost to England by nine runs in one of the most thrilling finals in front of a packed to capacity Lord’s. Raj was at her best in a virtual quarter-final against New Zealand in Derby when she scored 109 to steer her side to 186 runs victory. In the semi-final against Australia, the number-two ranked batter in the world scored 36, while in the final against England, she scored 17 before being run-out. Her other scores in the tournament were 71 against England in the tournament opener in Derby, 46 against the West Indies in Taunton, eight against Pakistan in Derby, 53 against Sri Lanka in Derby, zero against South Africa in Leicester and 69 against Australia in Bristol. The side includes four players from England, including player of the tournament Tamsin Beaumont, player of the final Anya Shrubsole, wicketkeeper Sarah Taylor and left-arm spinner Alex Hartley, Harmanpreet Kaur and Deepti Sharma along with Raj from India, three from South Africa including opener Laura Wolvaardt and bowlers Marizanne Kapp and Dane van Niekerk, and Australia all-rounder Ellyse Perry. 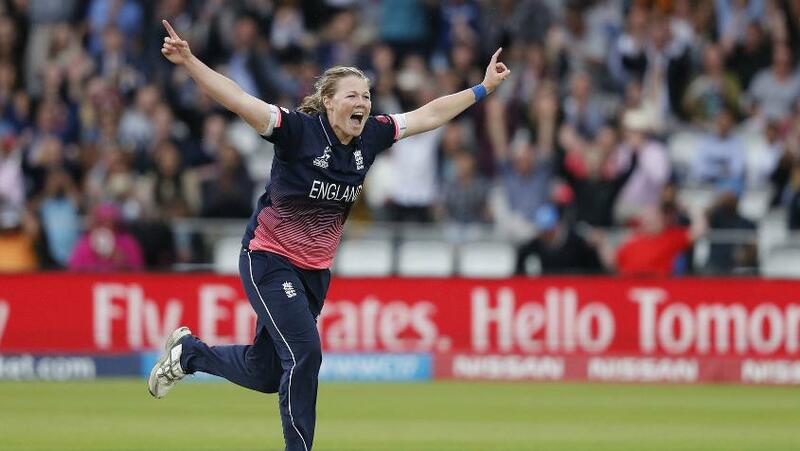 England’s Natalie Sciver, who scored 369 runs and took seven wickets, was chosen as the 12th player. Raj, Taylor and Shrubsole have been picked in the Team of the Tournament for the second time in their careers. Raj and Taylor were selected in the Team of the ICC Women’s World Cup 2009, which England won in Sydney in 2009, while Shrubsole was named in the Team of the ICC Women’s World Cup 2013, which Australia won in India in January/February 2013. The Team of the ICC Women’s World Cup 2017 was selected by a five-person selection panel that comprised Geoff Allardice (ICC General Manager – Cricket, and Chairman Event Technical Committee), former West Indies fast bowler Ian Bishop, former England captain Charlotte Edwards, former India player turned journalist Snehal Pradhan and former Australia all-rounder Lisa Sthalekar.